Maura’s practice includes all aspects of commercial and business-related litigation, with a particular emphasis on bankruptcy litigation. She has significant experience representing bankruptcy trustees, as well as prosecuting and defending various bankruptcy causes of action. Maura also handles a wide range of commercial litigation matters, including contractual and business disputes, legal malpractice, corporate governance, and directors’ and officers’ liability matters. 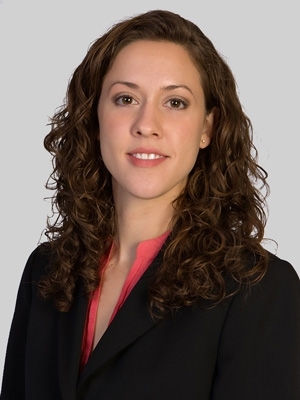 A member of the firm's E-Discovery practice group, Maura has extensive experience guiding clients through the challenges and risks associated with the preservation, collection, review and production of electronic discovery. She strives to balance compliance with proportionality and cost-effectiveness. Represented Chapter 7 trustee of bank holding company that won a $420 million judgment against the FDIC, as well as securing multimillion-dollar settlements against the directors and officers, and the U.S. government. Secured summary judgment dismissal of legal malpractice claims against an international law firm in a bankruptcy adversary proceeding. Defended a pharmaceutical manufacturer in a dispute with a former CEO involving breach of contract and breach of fiduciary duty claims. Successfully argued for dismissal of contract claim against produce supplier in a state court action. Representing a film distributor in bankruptcy adversary proceeding involving fraudulent transfer claims. Secured the dismissal of negligence and misrepresentation claims against homeowner in quiet title action. Successfully argued for dismissal of guardianship petitions and favorably negotiating joint custody for mother in custody dispute. Before joining the firm, Maura was a summer associate and law clerk for Fox Rothschild. She also had a judicial externship with U.S. Magistrate Judge Mary Pat Thynge of the U.S. District Court for the District of Delaware. She also served as a research assistant for Professor Tiffany Graham of Villanova University School of Law and for the Villanova Lawyering Together Pro Bono Program. While in law school, Maura was associate editor and staff writer for the Villanova Law Review. Prior to her practice of law, Maura worked as the international tourism services manager for the Philadelphia Convention and Visitors Bureau, as a marketing event planner for the Philadelphia Museum of Art and as director of special events and development for Meals on Wheels in Chicago. Maura is the founder of Smiling Runner, a website dedicated to celebrating positivity through health and wellness. Maura is among the contributors to the firm's Bankruptcy Litigation Briefing blog, which focuses on trends, developments and analyses of high-stakes litigation that is often triggered by major bankruptcy filings.